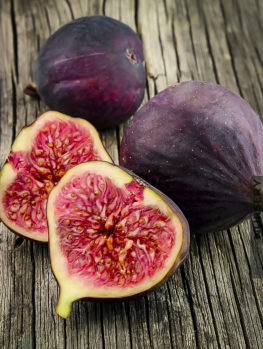 The only way to enjoy truly flavorful figs is to grow your own and now, if you live in colder regions, you can do so, with the incredible Chicago Hardy Fig Tree. This tree is easy to grow, drought-resistant, needs no special care or pruning and will grow even in poor soil. 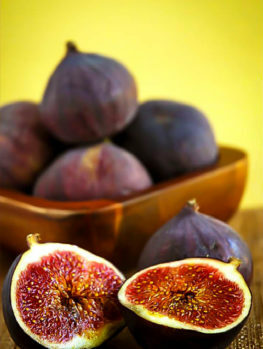 It is also a great variety for growing in a pot, which means that even in the coldest areas you can have fresh figs. You don’t even need a bright place to keep it over winter, just a shed or garage that doesn’t get below zero. The Chicago Hardy fig tree is the best variety of fig to grow in colder parts of the country. This variety will grow throughout zone 6 and in zone 5 it will still produce figs in fall. The taste of fresh, tree-ripened figs is special and is nothing like the taste of store-bought figs. If you enjoy eating fresh figs there is really only one way to have them at their best and that is to grow them yourself. Figs are a fruit that does not ripen once taken from the tree and a ripe fig is delicate and should be eaten soon after picking. 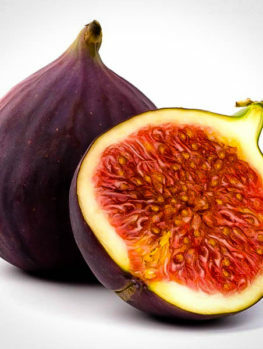 So if you have perhaps been disappointed when you have eaten a fresh fig, that is because it was not ripe and an unripe fig has very little flavor. If you live in a warm area then growing figs is an easy thing. If you live in zone 6 or zone 5 you probably thought that figs would not grow for you, but you have been wrong. The Chicago Hardy Fig Tree is a special variety that grows right down into zone 5 and can also be grown in a pot in even colder areas. So if you are looking for the thrill of eating your own tree-ripened figs in a cooler region, then the Chicago Hardy Fig Tree is tailor-made for you. 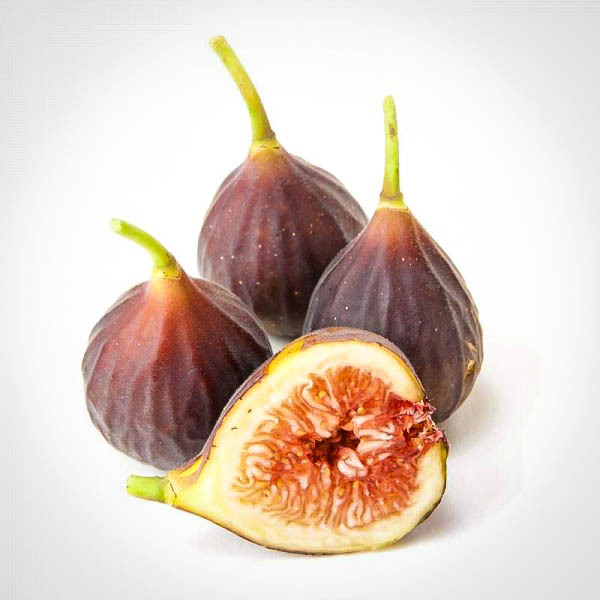 There are two reasons this special fig is suitable for colder areas. Firstly, it is generally hardier than other fig varieties, and will easily survive minus 100F, which allows it to grow throughout zone 6. 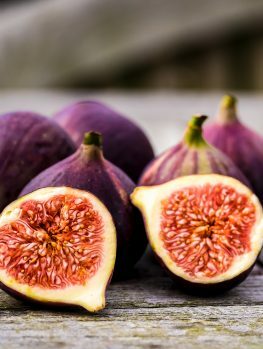 The second reason is that even in colder winters, which kill the stems, the Chicago Hardy Fig Tree will re-sprout from the base in spring, grow vigorously through summer and produce figs in fall on those new stems, which is something no other fig variety will do. This is why it can be grown in zone 5 where other kinds of figs may re-sprout but no other will produce fruit. In warm areas this tree can grow to around 15 feet tall and as much across. Fig trees have thick branches with a smooth gray bark. The leaves are large and very beautiful in form, being up to 10 inches long and rounded, with deep lobes. The fruit forms without a visible flower, because the fruit is actually a stem turned around on itself, with the tiny flowers inside. In the wild the fruits are pollinated by a special tiny wasp, but in the garden they develop without being pollinated, and are better for that since they have no seeds. Fruit can be produced twice a year, once in July from fruit developed the previous fall, and once in September, from fruit developed in spring. In colder areas the winter usually kills the fall fruit, so only one crop will occur, in the fall. 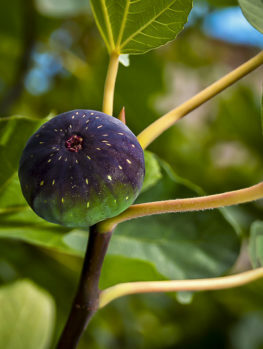 The Chicago Hardy Fig is large, juicy, rich in flavor and has a purple skin when ripe. You can tell that your figs are ready to pick by looking at the little stem that attaches each fruit to the branch. It will collapse when the fruit is ripe and that is the moment to pick it and enjoy. Figs do not keep once they are ripe, but they can easily be dried in a food-drier or an oven set on 1100. In warmer regions this excellent tree can be grown like any other fig, but in colder areas the best way to grow your Chicago Hardy Fig Tree is to grow it on a south-facing wall, with the branches spread out and tied to the wall. This way the sun will reach all the branches and ripen the fruit properly. If branches die in the winter, let a few grow in spring, just three or four, and tie them to the wall as they grow. Only in this variety will those new branches produce fruit, which is why this tree is ideal for cold regions. Plant your Chicago Hardy Fig Tree in a sunny sheltered location. Enrich the soil with some organic material to get your tree off to a good start, but after that fertilizer is only needed if the tree is growing less than 12 inches a year on its strongest growths. For container planting choose a container a little bigger than the one your tree comes in. Figs fruit best when their roots are crowded in the pot, so don’t repot unless the tree has become very large indeed. Add some sand to the potting soil so that the soil drains well, and a little garden lime. Let the soil become dry before watering, and then water well until the excess comes out the drain-hole of the pot. During the growing season fertilize every few weeks with a lower nitrogen fertilizer like tomato food. In fall once the leaves have fallen from the tree, move it to a shed or garage which does not get too cold in winter and give just enough water so that the soil does not dry out completely. Light is not necessary. Bring the pot outside when warmer weather returns. 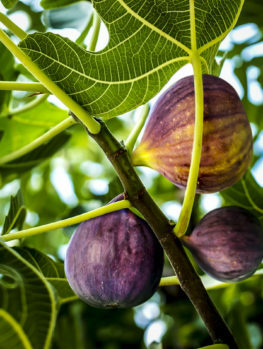 The fig tree, (Ficus carica), is the oldest cultivated fruit tree known, and has been grown for around 6,000 years. It is a wonderful plant for hot, dry areas as it is very drought resistant and enjoys as much sun as it can get. It will grow in almost all kinds of soil and actually does better in poor soil, as long as it does not stay wet. It usually suffers from no pests or diseases of importance; it is very drought resistant and is usually even left alone by deer. However, it will only grow in warmer areas and zone 7 is the limit for almost all varieties of fig trees. So for people who live in colder areas, growing figs would be impossible if it was not for the existence of the Chicago Hardy Fig Tree. Although named after that great city, this variety seems to have originally come from Sicily, where many types of figs are grown. The Chicago Hardy Fig Tree is a special variety and is the only one to choose for colder areas. It must be produced from trees known to be the right variety. Avoid cheaper trees that will only be a disappointment. Our trees are true to the original variety and we receive regular new supplies so that our trees are fresh and healthy when we send them to our customers. However this special variety is very popular and supplies are often limited. Order your Chicago Hardy Fig Tree now to avoid the disappointment of a long wait.